Approximately 1 in 500 African Americans in the United States has sickle cell disease. 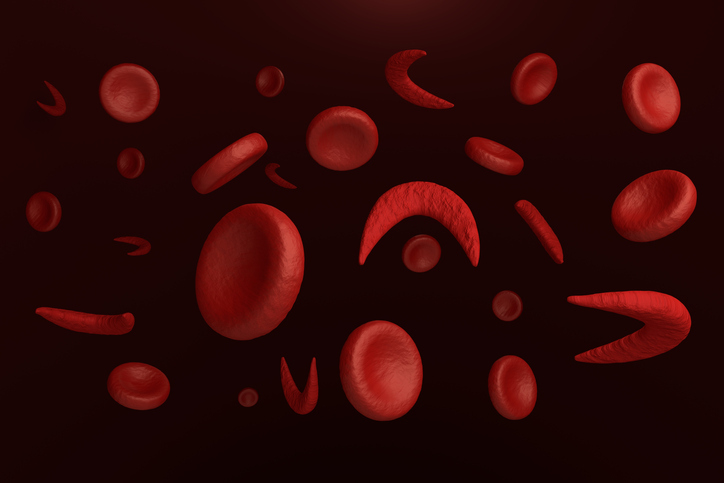 Management of patients with sickle cell disease (SCD) can vary widely, underscoring the critical need for comprehensive guidelines and protocols for transfusions. A recent review and consensus report from the therapeutic apheresis subsection of the American Association of Blood Banks (AABB) published in Transfusion emphasized areas of agreement in treatment management even in the absence of an overall consensus. Around 1 in 500 African Americans has SCD. General guidelines and treatment protocols are needed to guide best practices for this patient population. This report from the AABB relied on 15 physicians from 14 institutions summarizing how they manage African American patients with SCD, particularly how they use red blood cell exchange (RCE) and what potential complications arise from this therapy. The apheresis subsection of the AABB recommended regular transfusions of red blood cells (RBCs) for the management of anemia when hemoglobin is less than 9 g/dL or for treatment of patients with uncomplicated pain crises. On the other hand, RCEs should be used in the treatment or prophylaxis of complications in patients with SCD. Such complications include acute stroke, severe acute chest syndrome, multiorgan failure, and severe sickle cell hepatopathy. Additionally, both presurgery RCE and chronic RCE can effectively prevent stroke. RCE can include risks associated with venous access, especially central venous access. Additional risks correspond with the actual blood products used and include iron overload and hyperviscosity. The recommendations suggest a target level of less than 30% for hemoglobin S. Alloimmunization, acute and delayed hemolytic and non-hemolytic transfusion reactions, transfusion-transmitted infections, and allergic reactions are other potential risks associated with RCE. Alloimunization, a common complication for patients with SCD, can be prophylactically addressed when institutions match for immunogenic antigens. RCE can be life-saving in patients with SCD who are susceptible to complications. Though the study authors were unable to reach a consensus regarding protocol details, they agreed that RCE remains preferable to chronic transfusion. 1. Biller E, Zhao Y, Berg M, et al. Red blood cell exchange in patients with sickle cell disease-indications and management: a review and consensus report by the therapeutic apheresis subsection of the AABB. Transfusion. 2018;58(8):1965-1972.